Autoimmune disease is a common problem among women in their childbearing years. Women who suffer from mystery symptoms such as fatigue, muscle aches, gastrointestinal discomfort, headaches, and skin rashes, just to name a few, are often not taken seriously by their doctors. This is because, in the beginning stages of any autoimmune disorder, symptoms come and go and sometimes change, leaving the frustrated patient and the disbelieving doctor at an uncomfortable impasse. According to a 2001 survey taken by the Autoimmune Disease Association, nearly 50 percent of women with the symptoms of autoimmune disease were labeled as “chronic complainers”. It’s no wonder more and more women are turning to the Internet to try to explain their strange and sometimes debilitating symptoms. When nobody takes you seriously, it only makes the pain and discomfort that much worse. An autoimmune disease is a disorder of the immune system whereby the immune system mistakes the body’s own tissues as foreign invaders and attacks them. What area of the body the immune system will attack depends on the type of autoimmune disease. When it comes to the cause of autoimmune disease, there are many conflicting theories. Most allopathic or conventional physicians stand by the idea that there is simply no explanation for the body attacking itself. Natural health practitioners, however, believe a combination of poor diet, excessive vaccination, overuse of prescription and over-the-counter medications, air and water pollution, and physical or emotional trauma can trigger the development of autoimmune disease. There are literally dozens of diagnosable autoimmune diseases out there. This is just a list of the 8 most common autoimmune diseases women suffer from. What it Is – Hashimoto’s thyroiditis is an autoimmune disease whereby the immune system attacks the thyroid gland. Symptoms of this autoimmune disorder include face puffiness, chronic fatigue, constipation, hoarse voice, unusual weight gain, muscle and joint aches, excessive menstrual bleeding, and depression. Women with a history of diabetes or celiac disease are at increased risk for developing this autoimmune thyroid disorder. How it’s Treated – The most common conventional treatment for Hashimoto’s is synthetic thyroid hormone therapy. Your doctor will prescribe a pill you take each day to increase your thyroid hormone levels and combat symptoms. Natural treatments for this autoimmune disorder include a 100% gluten free diet (gluten seems to encourage the immune system to attack the thyroid as the molecular composition of the thyroid is almost identical to gluten), increased protein intake, vitamin D, glutathione, and probiotics for optimal digestion. What it Is – Lupus is another common autoimmune disease in women. In this disease, any part of the body can be mistakenly attacked by the immune system. This means skin, joints, and internal organs. Symptoms of the disease include a butterfly-shaped rash across the nose and cheeks, chronic muscle and/or joint aches, fatigue, unexplained kidney problems, cognitive impairment, anemia, pleurisy, hair loss, photosensitivity, and decreased circulation to extremities leading to pale or purple fingers and toes. How it’s Treated – Common conventional treatments for this autoimmune disorder are immunosuppressant drugs, non-steroidal anti-inflammatory drugs, and corticosteroids for symptom management and pain relief. Natural lupus treatments include stress management techniques such as yoga and meditation, acupuncture for pain, and a whole-food diet to address nutritional deficiencies. What it Is – Celiac disease is the inability of the digestive system to process the protein, called gluten, found in wheat, barley, and rye. When a person with celiac disease eats gluten, their immune system attacks the gut, leading to chronic inflammation of the intestine, which often causes malnutrition. Symptoms of celiac disease include chronic abdominal pain, gurgling intestines, bloating, flatulence, diarrhea, constipation, sinusitis, chronic inflammation, muscle and joint pain, brain fog, depression, anxiety, and mania. How it’s Treated – The only effective treatment for celiac disease is a strict, life-long adherence to a gluten free diet. The use of probiotics and digestive enzymes can help heal a damaged gut and improve the body’s ability to absorb nutrients from food. What it Is – Crohn’s disease is another type of autoimmune disease that affects the gut. With this disease, the immune system mistakenly attacks healthy intestinal cells, causing chronic gut inflammation. Symptoms of crohn’s disease include appetite loss, diarrhea (10-20 times a day), abdominal pain, sudden weight loss, anemia, rectal bleeding, nutritional deficiencies, and (sometimes) mouth sores. How it’s Treated – Conventional treatment for this disease include topical antibiotics, corticosteroids, and immune suppressant drugs. 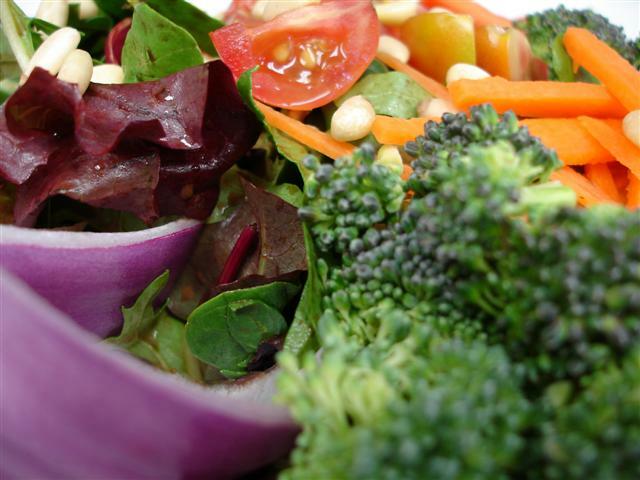 A more natural approach to crohn’s disease includes management of symptoms through diet. Wild-caught salmon, organic yogurt, eggs, smooth nut butters, lean meats, quick-cook oats, and fiber-rich fruits and vegetables are good for women with crohn’s disease. Some crohn’s sufferers also swear by the gluten free diet for crohn’s symptom relief. What it Is – Last year, tennis champion Venus Williams was diagnosed with Sjögren’s syndrome; another common autoimmune disease that tends to strike women of childbearing age. This autoimmune disorder is caused by the immune system attacking the body’s moisture-producing glands. Symptoms include chronic dry mouth, dry eye, dry skin, vaginal dryness, joint pain, fatigue, dry nose and nosebleeds, tingling or numbness of extremities, brain fog, and tooth decay. How it’s Treated – Since there are no conventional treatments for this autoimmune disorder, Sjögren’s is often treated using a combination of dietary changes and supplements. Many Sjögren’s sufferers have found relief by cutting all processed sugar and grains from their diet and eating like a caveman. This means meat, poultry, fish, eggs, vegetables, fruit, nuts, seeds, and plant oils. Green tea, coconut water, and water are strongly-recommended drinks for Sjögren’s suffers as well. Women with this disease should have their vitamin D levels checked to see if they need to supplement. Magnesium, krill oil, and vitamin B12 can also help provide symptom relief. What it Is – Autoimmune hepatitis occurs when the immune system attacks the body’s liver cells. Symptoms of this disease include abdominal distention, itching, fatigue, dark-colored urine, clay-colored stools, nausea, vomiting, and general feeling of poor health. How it’s Treated – The most common conventional treatment for autoimmune hepatitis is steroid therapy. This helps reduce chronic inflammation and suppresses the immune system. Natural treatments include milk thistle and a whole-food, plant-based diet to support proper liver function. What it Is – Rheumatoid arthritis or RA is an autoimmune disease characterized by morning stiffness, joint pain on both sides of the body, chest pain when taking a deep breath, tingling or burning in hands and feet, dry eyes, dry mouth, low-grade fever, and loss of range of motion. How it’s Treated – Common conventional treatments for this disease include NSAID pain relievers, biologics, and steroids. Natural therapies include an anti-inflammatory diet, boswellia, omega-3 fatty acids, devil’s claw, and acupuncture. What it Is – In ITP, the body’s immune system attacks the platelets in your blood. Platelets are the part of the blood responsible for clotting and wound healing. Symptoms of this autoimmune disorder include fatigue, easy bruising, slow-healing wounds, easy bleeding, and nosebleeds. How it’s Treated – For very low platelets, steroids are often prescribed to lower the immune system response. Oftentimes,ITP goes into remission on its own. It’s a common young woman’s disease that has been known to have a connection with celiac disease or gluten intolerance. A gluten free diet has been shown to help stabilize blood platelets in some cases. Adding vitamin K1 to your diet can help improve your clotting ability. Epsom salt baths can draw toxins from your body and ease bruising. Epsom salt should not be used by pregnant women, diabetics or anyone allergic to sulfur. What it Is – In MS, the body’s immune system attacks the nervous system, causing the myelin sheath that covers nerves to break down. Once the myelin sheath is damaged, nerve signals to the rest of the body slow down or stop. Symptoms of MS include loss of balance, weakness in one or both arms or legs, muscle spasm, loss of feeling in extremities, muscle spasms, tremors, difficult coordination, constipation, frequent urge to urinate, incontinence. How it’s Treated – Conventional treatments for multiple sclerosis include physical and occupational therapy as well as immuno-suppressant drugs. A raw-food diet is also recommended for the successful management of MS.
As you can see, diet plays a huge role in the recovery and symptom management of any autoimmune disorder. A diet high in processed foods, refined flours, sugars, and preservatives only make inflammation, pain, and fatigue that much worse. A whole-food, plant-based diet is best for anyone with any type of autoimmune disorder. Since poor digestion and malnutrition is a common factor in autoimmune disease, it might also benefit the sufferer to add a digestive enzyme and probiotics to their diet for optimal nutrient absorption. Another overlooked contributor of autoimmune disease is a condition called “leaky gut syndrome”. Not widely recognized by the medical community, leaky gut syndrome occurs when small perforations or holes appear in the gut, allowing particles of food to enter into the blood stream. Leaky gut syndrome is often caused by excessive use of NSAIDs, antibiotics, heavy alcohol intake, and intestinal parasites. Radiation treatment and cytotoxic drugs may also be a contributing factor in leaky gut syndrome. Natural remedies for leaky gut syndrome include turmeric, gentian root, glutamine, betaine, slippery elm, peppermint, marshmallow root, digestive enzymes, and probiotics. 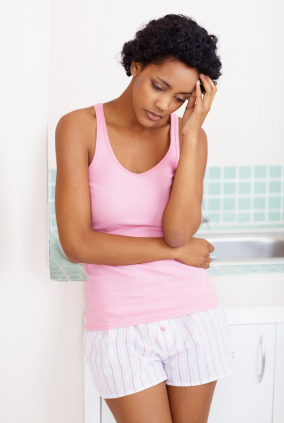 Millions of women worldwide suffer from the symptoms of autoimmune disease. Rather than treat the individual symptoms, it’s important to get down to the root cause of the disease and stop your body from attacking itself. This means maintaining a healthy, anti-inflammatory diet, taking supplements, managing stress, and getting plenty of deep, uninterrupted sleep each night. Before adding natural remedies to your diet, book an appointment with a naturopathic physician, nutritionist or chiropractor in your area to get a second opinion about the symptoms that are ailing you. It may just be your first step to lasting wellness! Further reading: Diabetes in Women – Are You at Risk?